As I started to unearth my pile in the guestroom, I decided to start with a bunch of old medication that I had sorted out a while ago. I had put them all together on a small desk and they have been sitting there ever since, waiting for me to do something about them. Having tried just about every medication “under the sun” over the last few years, while I’ve been trying to kill off my headache problem, my medication drawer has gotten bigger and bigger. And off course, just like food, medication expire after a certain time. I know there are people out there that have medication laying around the house that they have had “forever”, and I’m no exception. I have however gotten into a routine over the years, where I go through all my medication every so often, check the expiration date and discard the stuff that is just too old. Now, what’s the big deal you say, does it matter if the medication has expired? The answer to that, is, it might have, yes! And I’ll explain why! Just like with food, medication ingredients might spoil, and lose it’s potency. An expired medication might not have adverse effect, but there can be risks. In a lot of the over-the-counter pain relief medication, a loss of potency might not be a big deal, but in medication like heart or diabetes medication, it’s important if not critical to get the dosage right. My understanding is that tablets and capsules have the longest shelf life, and might be fine for years after the expiration date, but I’m not sure if I want to risk holding on to them very long past their date. So I normally don’t. And since I know that liquids and injected medication very often have a much shorter expiration date, than tablets and capsules, I don’t mess around with these past their expiration date, at all. If it has lost some of it’s potency can’t I just take one extra? Well, that might be a bit risky. Since we don’t know how much the potency have changed, there could be a danger that with taking an extra pill or two, that we get somewhat “overdosed”, which might just generate it’s own problems. Can how I store them make a difference? Absolutely! To make sure I that my medication keep for as long as possible, I store them in a drawer in my bedroom, which keeps them dark, cool and dry, as it is the coolest room in the house. I keep them away from the bathroom as I know that high humidity, and high temperatures will cause degradation of the medication quicker. In Norway, there is a program that allows you to return unused medication to the pharmacies, and they will dispose of it, the proper way. Rather than throw any medication in the trash (which you shouldn’t really do, because you never know who might get their hands on them, and here in Norway medication is considered hazardous waste that should not go into the trash), or flush them down the toilet (which from an environmental point of view you might not want to do too much off) , I use the drug return program. If you want to read more about expiration dates, dangers and how to dispose of medication the correct way, there are some great guidelines on this FDA’s website, this NHS website, and in Norway this Legemiddelverket site. Have you looked through your medicine cabinet lately? Great job! I just got rid of some of my old meds too. Yay for decluttering more things! I’m usually pretty good at prescription removal but over the counter stuff is the hardest. We’ve just quit buying any except our daily vitamin. We could probably even eliminate that but just can’t seem too! I don’t get that much over the counter stuff (except vitamins) anymore. 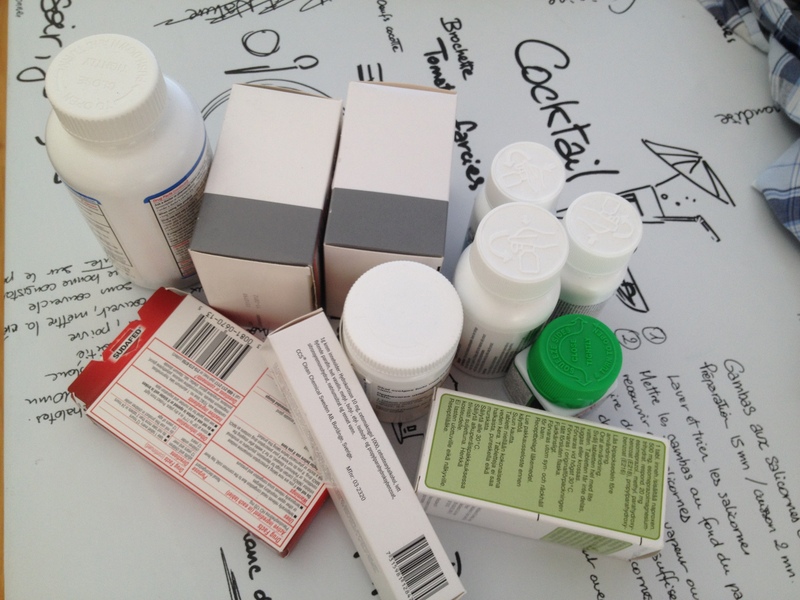 The stuff that went out-the-door this time around was actually some over the counter stuff bought in US I haven’t used for the longest time + some liquid meds that expires really quickly. What a great reminder of the ‘why’! I do this twice a year without thinking but it’s helpful to be reminded that some times there are potentially adverse consequences to not decluttering that are literally life threatening! I got rid of a bunch when I did my bathroom declutter a while back, but it’s definitely something to do regularly. NOW I see the FDA link! I guess I just skipped right over it before! Thanks so much!! I went and found one!